"So November the 6th I hope that we speak with one unified voice, that we want liberty and justice for all. No matter who you are, where you were born, who you love, or how you vote, that's what we stand for, and I would appreciate your vote November the 6th." Candidates running in contested local and state races in the upcoming election spoke and responded to audience questions at a nonpartisan forum at Ashland City’s senior center on July 19. Voters had the chance to hear from candidates including those for county mayor, the 12 county commission seats, school board, county trustee and others at the event organized by the Cheatham County Democrats. The event was also streamed on Facebook live. Each candidate was allotted three minutes to speak, followed by a few minutes for questions and answers. Some topics candidates and voters brought up include school safety, county support for the senior center, recycling, jail expansion and inmate rehabilitation. All candidates were invited to participate in the forum, though not all were able to attend. Haley Davidson, a representative from U.S. Rep. Jim Cooper’s campaign, also spoke on the official’s behalf. Early voting began July 13 for the Aug. 2 election. The general election for federal and state races will be Nov. 6. The Cheatham County Election Commission is located at 188 John Mayfield Dr. Suite 100 in Ashland City. “What the U.S. needs to do is create a clear path to DACA (Deferred Action for Childhood Arrivals), increase the number of immigration court judges and create more public defender positions. These people are coming to our borders seeking help. I see no sign there’s any effort to reunite these families, but in this administration, there’s so much that’s hidden from the public eye." For weeks, national news has extensively covered the story of family separation at the southern border between the U.S. and Mexico, complete with heart wrenching tales — and photos — of children being taken from their parents. The policies leading to the current immigration crisis were launched under President Barack Obama in 2014, when an unusually high number of border crossings were occuring, according to statistics from U.S. Customs and Border Protection. The Obama administration's policy detained immigrant families for as long as it took to pursue due process, complete review of the cases and deport them. Under President Donald Trump, however, it's differed in that the numbers of immigrants coming to the U.S. from Mexico and South America have reverted to the historical norm: unauthorized immigration is far lower than in the early 2000s. Prosecuting immigrants for illegal entry into the U.S. is nothing new, nor is detaining families, nor is the occasional separation of families — for instance, families might be split if one parent was carrying drugs. What is new is the wholesale separation of families that’s occurred since April, an inevitable outcome of a "zero-tolerance" prosecution of parents crossing the border illegally, according to the Trump administration. Between April 18 and May 31, nearly 2,000 children were separated from parents. Through his work with Tennessee Justice for our Neighbors (JFON,) a non-profit that provides affordable legal services to immigrants, refugees and asylum seekers and advocates for them, Munday believs Americans need to focus on productive solutions to immigration issues — ones that don’t separate children from their parents. “What the U.S. needs to do is create a clear path to DACA (Deferred Action for Childhood Arrivals), increase the number of immigration court judges and create more public defender positions,” he says. “These people are coming to our borders seeking help. I see no sign there’s any effort to reunite these families, but in this administration, there’s so much that’s hidden from the public eye. As a result of the outcry, on June 20, President Trump signed an executive order to keep children from being separated from their parents at the border, while maintaining his “zero tolerance” policy against illegal immigration. Middle Tennessee has not been immune from the uproar, and on June 26, hundreds gathered in Nashville’s Fannie Mae Dees Park to protest the situation. Together Rising is a nonprofit that gathers donated funds for organizations that assist various groups or needs. It is currently raising money to reunite families who were separated at the border. They'll tell you exactly where your funds are going, and right now, it's to develop a screening and referral system to identify parents who were deported without their children, to hire attorneys and paralegals to represent families and children as well as sending money to the Refugee and Immigrant Center for Education and Legal Services in Texas, among other legal advocacy groups. International Rescue Committee is a nonprofit that offers emergency and long-term aid to refugees and has been working to support separated migrant children by connecting them to legal and psychosocial services. Donations to the organization will help to connect children to these services in states all over the country. Tennessee Justice For Our Neighbors is a chapter of the national organization and constantly accepting donations in order to provide legal assistance to unrepresented immigrants in Tennessee. They also hire legal assistants when needed to represent immigrants. Recently, the organization hired a bilingual legal administrative assistant to serve people searching for a safe home in Middle Tennessee. Let’s be honest with ourselves: middle Tennessee residents are likely weary of politics in 2018, and the fact of the matter is the season is just heating up. Already we’ve been to the polls a couple of times: to vote on transit and for local primaries, and again to vote for a new mayor (with the specter of a possible return visit thankfully exorcized). The county general election and state and national primary election looms in the near future—August 2, 2018. And then on November 6, 2018 voters must return to the polls one last time for the general election for state and national offices. We are at serious risk for burnout, and with a committed anti-LGBT base, lack of voter interest and turnout amongst liberal voters would be a severe blow to progressive agendas generally, and LGBT rights specifically. But while we may be fatigued, there’s a lot of reason to hope this year. The shift in the discourse may be subtle, but it’s real. Elsewhere in this issue, we take a look back at a student-led anti-gun protest. This “die-in” was held at Legislative Plaza and was organized by students from conservative Williamson County—with a strong contingent of LGBT identifying students and GLSEN members. And it was held on the anniversary, and in honor of the victims, of the 2016 Pulse Massacre in Orlando—the most deadly mass shooting in US history to target the LGBT community specifically. We also get a view into the political landscape of Tennessee’s 4th Congressional District (currently held by the notoriously anti-LGBT Scott DesJarlais)—where the candidates include many LGBT-friendly candidates, and where the Republican challenging DesJarlais is a Baptist who doesn’t flinch at having a gay son. And we sit down for a chat with one of the Democratic Party’s leading contenders for the governor’s nomination, Karl Dean. Dean’s unflinching support of the LGBT community is well known, and his governorship would mark the first time someone holding that position was a dependable and predictable ally. Wade Munday, running as a Democrat for Tennessee State Senate District 25, exemplifies these trends: he’s a theologically trained, values-oriented candidate, who isn’t willing to let his conservative counterparts own the values platform. Like the youth advocating in our streets, he has firm convictions, liberally-oriented but held with an openness to dialogue that is refreshing in our current climate. And like the new breed of candidates beginning to seek office in Tennessee, he’s not afraid to bring these conversations into traditionally conservative strongholds. While candidates in the recent past, including allies and LGBT candidates, from rural distracts have distanced themselves from the community, Munday is in his district talking about LGBT rights and hosting meet and greets with the LGBT community through Middle Tennessee. And be on the lookout across the state and country for candidates like him. Little by little, we may be able to take back our country. 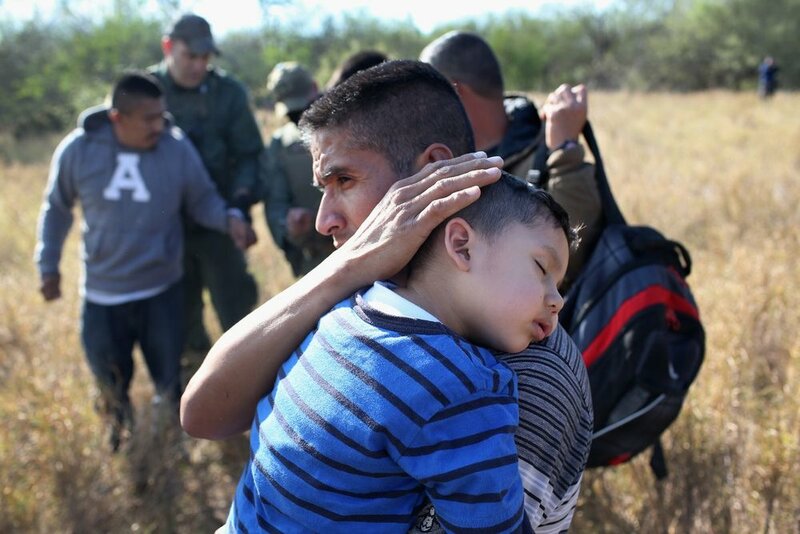 "These were children who were fleeing gang violence in Central America. In 2018 alone there have been 600 unaccompanied minors resettled in middle Tennessee, 200 in Davidson County alone...One of the hallmarks of American democracy and what our founding father's believed is that everyone has a right to council, regardless of where they're from." NASHVILLE, Tenn. - Since 2015 Wade Munday has served as the executive director for Tennessee Justice for Our Neighbors, an organization that provides legal help for immigrant families and children looking to resettle in Tennessee. "They have witnessed their family members being murdered, they have been personally recruited to join a gang or die," Munday said. Immigrants resettling in middle Tennessee is nothing new. In 2015 Munday recalls a surge of unaccompanied minors arriving in the mid state. In a span of two years 4,000 immigrant children made middle Tennessee their new home. "These were children who were fleeing gang violence in Central America," explained Munday. "In 2018 alone there have been 600 unaccompanied minors resettled in middle Tennessee, 200 in Davidson County alone." His team of immigration attorneys are working with bigger law firms to create pro bono teams that will help asylum seekers, many of whom may now be sitting in detainment centers on our nation's southern border with family members already here in the Volunteer State. "One of the hallmarks of American democracy and what our founding father's believed is that everyone has a right to council, regardless of where they're from," Munday said. There are local attorneys who are planning on visiting some of the detainment centers in Texas very soon. For more information about Tennessee Justice for Our Neighbors visit; https://www.tnjfon.org/. "We need to establish a principle that families should be kept together, that children should be treated humanely, and that everyone deserves justice." "Families from other countries, whether they're here lawfully or not, particularly students, are very scared. There's a great deal of fear underlying the tension that's going on in the country. The overwhelming sadness is what we hear the most of." NASHVILLE, Tenn. -- — The immigration crisis on Capitol Hill and at the U.S./Mexico border is reaching families in Tennessee -- causing concern and new uncertainty about the future of families. President Donald Trump said in a speech on Tuesday that while he does not like seeing families broken apart, separating children from their parents is necessary to prosecute the parents for attempting to cross the border illegally. Albert Bender who is an indigenous citizen and friends with many immigrant families says he is now worried about the future of legal immigrants who have lived in Tennessee for years. We never thought of them having any problems in terms of the legality of them being here until they expressed their anxiety to us," said Bender who is planning a 4 p.m. Thursday protest at the Homeland Security office downtown off Rosa Parks Blvd. "This is an all people's issue. It's not just an issue for one nationality." Wade Munday who is the Executive Director of Tennessee Justice for Neighbors oversees the legal issues of immigrants across the mid-state. When hundreds of young students with deceased parents were relocated to live with family in Tennessee, Munday helped with their relocation. He says customs and immigration agents have made his job immensely more difficult as they have started to ask for answers and justifications to questions not previously required. "Families from other countries, whether they're here lawfully or not, particularly students, are very scared," Munday said. "There's a great deal of fear underlying the tension that's going on in the country." The Trump administration is enforcing a policy endorsed by some U.S. border agents in 2014. They hypothesized that ramping up criminal prosecutions and separating families at the border would deter people from attempting to cross. That idea was shelved by the Obama administration, but the Trump administration adopted it as part of their zero tolerance policies. In a survey of Tennesseans opinions Tuesday, several shared frustration at the crisis calling it inhumane, unfair or even un-American. Others specified they supported legal immigration -- accepting ills that come from that. Most all pined for a middle-ground solution more appropriate for enforcing laws and not destroying families. "That overwhelming sadness is what we hear the most of," Munday said. In the wake of Nashville’s failed transit referendum, state Sen. Kerry Roberts is “exploring” legislation enabling surrounding counties to participate in future mass transit referendums and to allow multiple proposals for voters to consider. “I do feel strongly it needs to be done regionally,” says Roberts, a Springfield Republican. He contends the Nashville transit plan, which fell by a 64-36 margin in a May 1 referendum, would have created transit “corridors to nowhere” while costing some $9.8 billion, including long-term operation and maintenance. But even though he felt it was a bad plan, Roberts says he could support a “common-sense” regional proposal for Nashville and surrounding counties involving light rail, buses and other modes of transportation. Roberts also represents Cheatham, Dickson, Hickman and Humphreys counties in the 25th Senate District. Allowing smaller counties, such as Robertson, not included in the 2017 IMPROVE Act to hold referendums enabling them to raise revenue for mass transit. Such a move could allow Davidson’s “halo” counties to participate in a regional mass transit referendum. Placing multiple options on a regional referendum so voters who don’t like one plan can choose an alternative. Requiring an in-depth financial impact report on regional mass transit plans. Restricting local governments from hiring lobbyists to work on a mass transit plan.“You’ve got to have a bona fide financial analysis of the plans because the consequence of being wrong is staggering,” Roberts says, noting mass transit projects across the nation are “notorious” for costing more than expected. Davidson County’s transit plan was to cost about $5.8 billion, plus another $4 billion for operations and maintenance. It would have raised the county sales tax, hotel tax and several other revenue streams. advertisement Democrat Wade Munday, who is running for the 25th District seat, points out Roberts voted against the 2017 IMPROVE Act, which so far has brought about $30 million for bridge projects into rural parts of the district. Munday says he would have voted for the IMPROVE Act, including a three-year gas tax increase to fund road and bridge improvements, offset by reductions in the grocery, Hall income and business taxes. “That basic infrastructure upkeep is necessary in order to keep our traffic flowing in the rural areas. So while mass transit is appealing, I think I probably come across a little more like a small government state Senate candidate in this scenario because I think we’ve got a limited role to play,” says Munday, executive director of Tennessee Justice for Our Neighbors, which helps victims of human trafficking, war and domestic violence. Still, the Democratic challenger says he would oppose proposing referendums for Davidson and the surrounding counties, instead letting local governments decide what works well for them and encouraging them to follow Nashville’s lead. A coalition of county mayors in the region is studying infrastructure needs, along with transportation organizations. “I think Nashville is now going to have to propose some alternative to clean up the congestion that’s happening around the interstates and the city core that will then dovetail with what local county mayors and other regional transportation planning authorities are hoping to accomplish for the broader region in Middle Tennessee,” Munday says. SPRINGFIELD - The recent Supreme Court ruling allowing states to purge inactive voters is another step backwards for increasing active citizenship in Tennessee, which ranks 40th in voter registration and last in voter turnout. Friends of Wade Munday announced that the campaign office will be open for 12 hours a day in downtown Springfield to register voters in District 25. Tennessee’s poor voter turnout has been an issue in the state for years, upsetting government leaders on both sides of the aisle. State Senator Jim Cooper is quoted in the Tennessean saying that Tennessee has the potential to be in the top-half of the nation in terms of turnout and registration. Munday hopes that he can help his state realize its potential. "As leaders who work closely with New American families of all backgrounds, we request a role in the search and selection of his replacement. Our English Learner students deserve the very best leadership possible for the program; one with experience working in an urban school system with students from many countries and with varied backgrounds, and a track record of innovative and successful leadership in an ESL program." 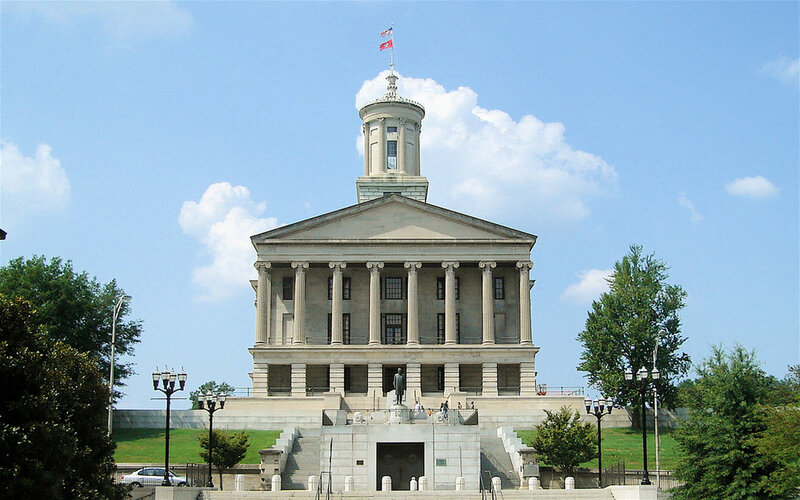 SPRINGFIELD – Wade Munday condemned Senator Kerry Roberts, the Tennessee General Assembly and Governor Haslam today over the so-called anti-sanctuary city bill as it becomes law. He pointed out that the party of “law and order” is undermining our officers on the streets, scaring away their informants, and threatening public safety. The Major Cities Chiefs Association and the National Conference of Mayors condemned this sort of legislation earlier last year. The executive director of the Tennessee Sheriff’s Association even expressed skepticism about the bill this year in committee hearings on the subject. 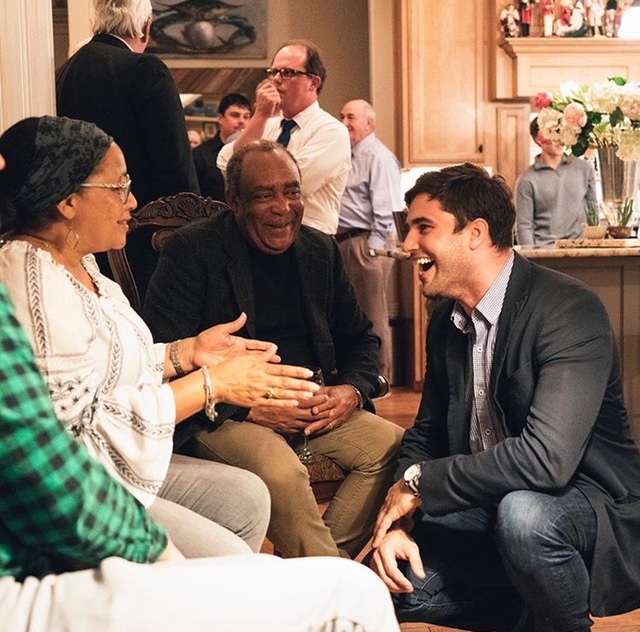 "Our campaign will focus on the things that change lives and our children's and grandchildren's lives - like supporting policies that attract businesses, promoting fairness in our communities, and staying away from the national political sideshow. At the end of the day, people want to know their state Senator is looking out for their best interests and not their political party or agenda. I know that I must represent my neighbors no matter what. It doesn't matter if they voted for President Trump or Senator Sanders - all politics is local." Springfield - The campaign of Wade Munday for State Senate in District 25 announced that they have received word from all five counties - Robertson, Dickson, Cheatham, Hickman, and Humphreys - that the candidate has qualified to run for the seat currently held by incumbent state Senator Kerry Roberts. "Our campaign team and volunteers have worked hard to build up this grassroots organization, and we are happy that we are going to be on the August and November ballots," said campaign Treasurer Martha Shepard. "Our campaign will focus on the things that change lives and our children's and grandchildren's lives - like supporting policies that attract businesses, promoting fairness in our communities, and staying away from the national political sideshow," said Wade Munday. "At the end of the day, people want to know their state Senator is looking out for their best interests and not their political party or agenda," he continued. "I know that I must represent my neighbors no matter what. It doesn't matter if they voted for President Trump or Senator Sanders - all politics is local." Wade Munday is a lifelong Tennessean with deep roots in Robertson County. He is the Executive Director of Tennessee Justice for Our Neighbors, a ministry affiliated with the United Methodist Church. He has served on the board of directors for Tennessee Alliance for Legal Services, Mary Parrish Center for Victims of Domestic Violence, and the Vanderbilt Alumni Advisory Board. He lives in historic downtown Springfield with his children Eleanor (4) and Ames (2). A Springfield nonprofit leader and former Tennessee Democratic Party official has announced his candidacy for the state Senate seat currently held by Sen. Kerry Roberts, a Springfield Republican. Wade Munday (pictured) touted his family’s Robertson County roots in a message sent to supporters Tuesday. District 25 includes Robertson, Cheatham, Dickson, Humphreys and Hickman counties, and Roberts won the seat in 2014 with more than 70 percent of the vote. Munday is executive director of Nashville-based Tennessee Justice for Our Neighbors, a nonprofit organization that provides legal services to immigrants. He previously worked for the state Democratic party and was its treasurer until January. “Together, we can fight to make sure that our government gives back what it owes to the people who need it most — a good education for our kids, a job when they graduate, and just treatment for people regardless of where they live, who they love, or what they believe,” Munday said in his announcement. U.S. Rep. John J. Duncan Jr. announced Monday he would not seek re-election after nearly 30 years in the position (his father had held it before him), and the Knoxville News Sentinel asked some of the rumored candidates if they planned to jump in the open race. Term-limited Knox County Mayor Tim Burchett will announce his plans Saturday. Chris Edmonds, a Baptist pastor in Maryville and the son of a World War II hero, said he’s considering a run. Duncan’s sister, state Sen. Becky Duncan Massey, will “never say never,” but isn’t considering a run at the moment, perhaps signaling an end to five-decade Duncan dynastic rule. State Rep. Jimmy Matlock, R-Lenoir City, is considering a run. State Reps. Bill Dunn and Jason Zachary, both Knoxville Republicans, aren’t running. Blount County Sheriff Jim Berrong and state Sen. Richard Briggs, R-Knoxville, are both rumored to be eyeing a run, according to the News Sentinel. On the Democratic side (the seat hasn’t been won by a Democrat since before the Civil War), one candidate had already announced his candidacy before Duncan’s decision: clinical psychologist Joshua Williams. Knoxville Mayor Madeline Rogero, whose term ends in 2019, is not running, and Tennessee Clean Water Network Executive Director Renee Hoyos is considering a run.